Award-winning journalist and Democracy Now! 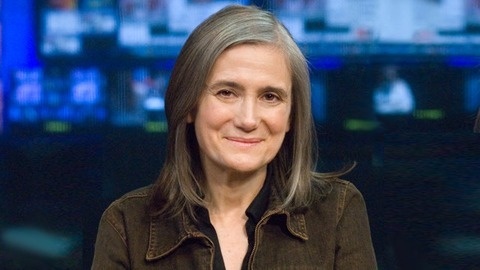 host Amy Goodman records a podcast in conjunction with her weekly column: http://democracynow.org/blog. Christians the world over look to the Holy Land this week as they celebrate Easter and the resurrection of Jesus, while Jews around the globe observe Passover, recalling their exodus from slavery in ancient Egypt. Current events in Israel and Palestine, though, are no cause for celebration, and are adding fuel to racial and political fires here in the United States. Read the full column: https://www.democracynow.org/2019/4/18/netanyahu_trump_prevent_peace_in_the Visit https://democracynow.org to watch and share each interview separately, to read the complete transcript, search the vast news archive, or to make a donation to support our non-profit news program. Livestream weekdays 8-9am ET. Follow Democracy Now! on Facebook, Twitter, YouTube, Instagram, SoundCloud, and iTunes. Listen to the full hour of Democracy Now! 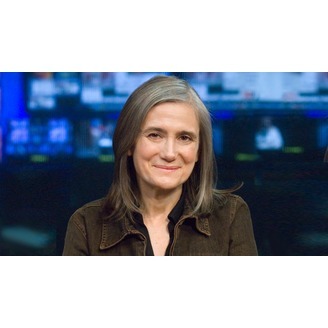 — your daily independent, global news hour hosted by award-winning journalists Amy Goodman and Juan González.